And was jeered for making a logo that some people felt was too generic. Bacardi’s old logo featured the brand’s iconic bat. The new logo has a smaller bat, creating a cleaner, more distinct design. PayPal made some improvements to its old logo. The new logo has a bolder wordmark and more vibrant colors, and the overlapping Ps are designed to emphasize human connection. Black & Decker’s old logo used an ampersand to connect the names of the brand’s two founders. Its new logo uses the trendier plus sign, instead. Lipton’s old logo featured a bright lemon. 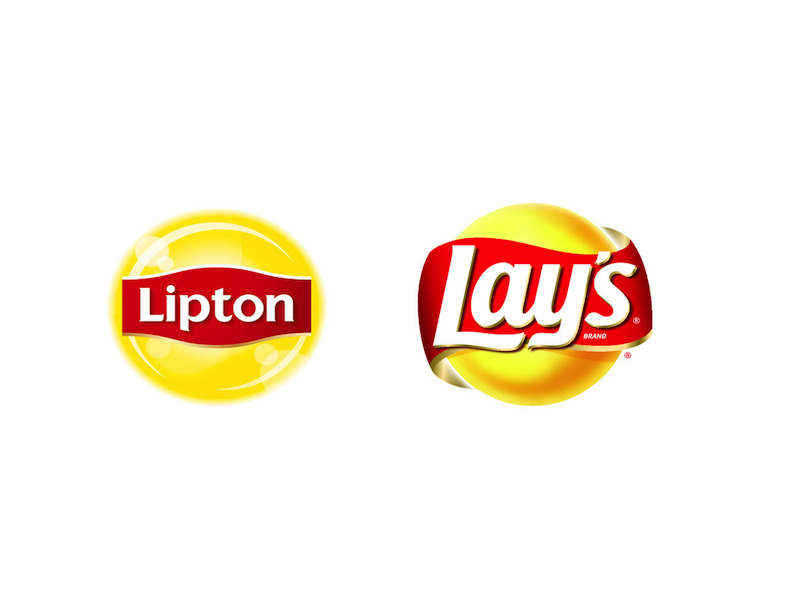 The new logo isn’t too different, but it reminds us a lot of the Lay’s potato chips logo. Cadillac’s old logo is something of an icon in the automotive world. The new logo isn’t much different, but Cadillac got rid of the laurel wreath that used to appear underneath its crest. Florida State University’s old logo was there when the Seminoles won the national championship in football this past season. Its new logo tilts the Seminole’s head toward the sky and replaces the “Florida State” lettering with a feather. Getting rid of your school name might be a college sports logo trend. Here’s Illinois’ old logo. And here’s the new logo, which identifies the school only with a block ‘I’. In the pros, the Tampa Bay Buccaneers made some tweaks to its old flag logo, seen here. The result is Tampa’s brighter new logo, ARRRGHuably the Bucs’ best yet. Reebok’s old logo was never quite as famous as the Nike Swoosh or Adidas’ three-stripe design. But its new logo makes the brand look more like a B2B software company. Fandango’s old logo was designed to look like a movie ticket. Its new logo has its letters closer together, and an upside-down ‘F’ hidden in the orange space. Oxford Dictionaries’ old logo was a fairly plain wordmark. Its new logo is a bit more stylish, but it looks a lot like the logo for Beats by Dr. Dre. See? That’s the Beats logo on the right. Morton Salt’s old logo has been a fixture of grocery stores everywhere for years. Their new logo has several very slight changes. There’s a little curve at the end of the ‘R’ in the lettering, and fewer blue lines in the woman’s hair. Visa’s old logo famously had a golden tip on the ‘V’. The new logo gets rid of this flourish. The letters are also darker shades of blue. 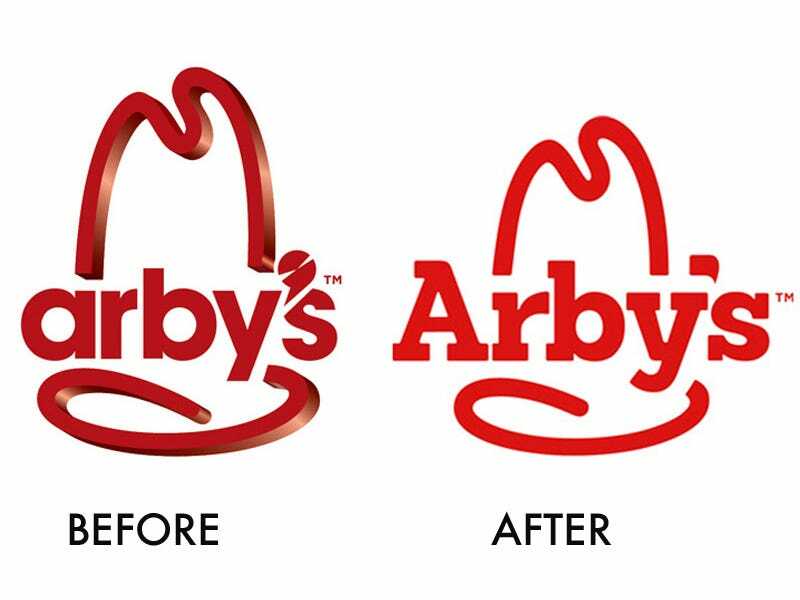 Arby’s 2012 logo is a design disaster, with its gaudy sheen and embossing. The update returns the sandwich chain back to its roots, but now with bolder font. 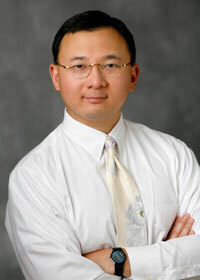 This one may be very slight, but it is cleaner and more direct. 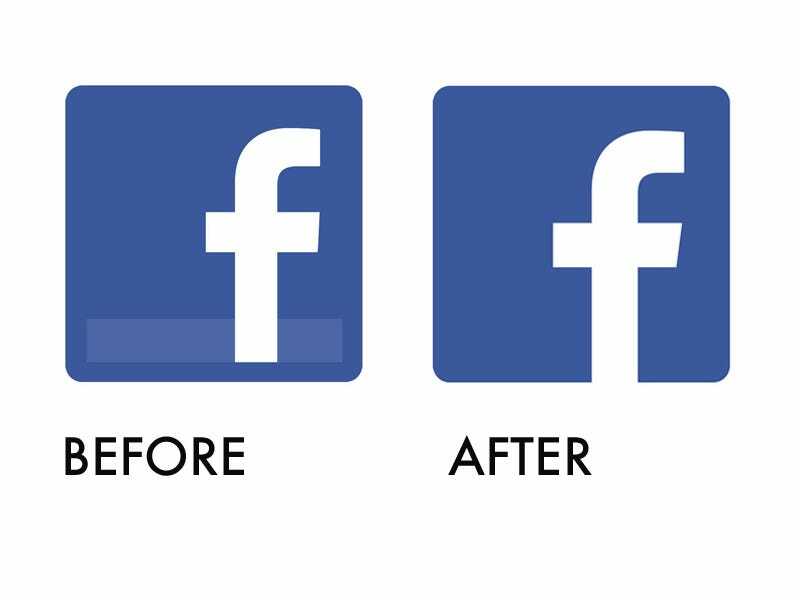 Facebook got rid of the light horizontal bar at the bottom of their logo, making us wonder why it was ever there to begin with. 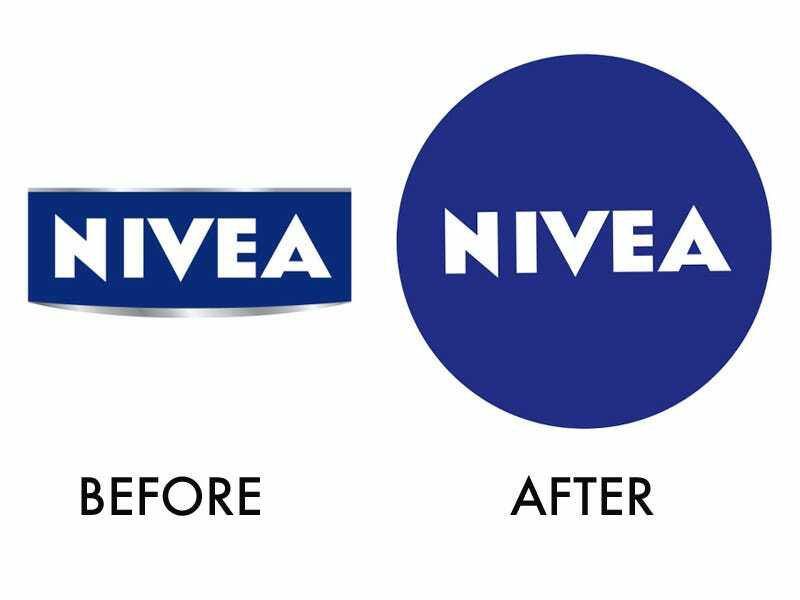 Nivea, the skin care manufacturer, cleaned up its logo for a rebranding. The circle is a reference to the cold cream tins that made the brand famous, and due to the surface area it takes up on packaging, makes Nivea products stand out on store shelves. 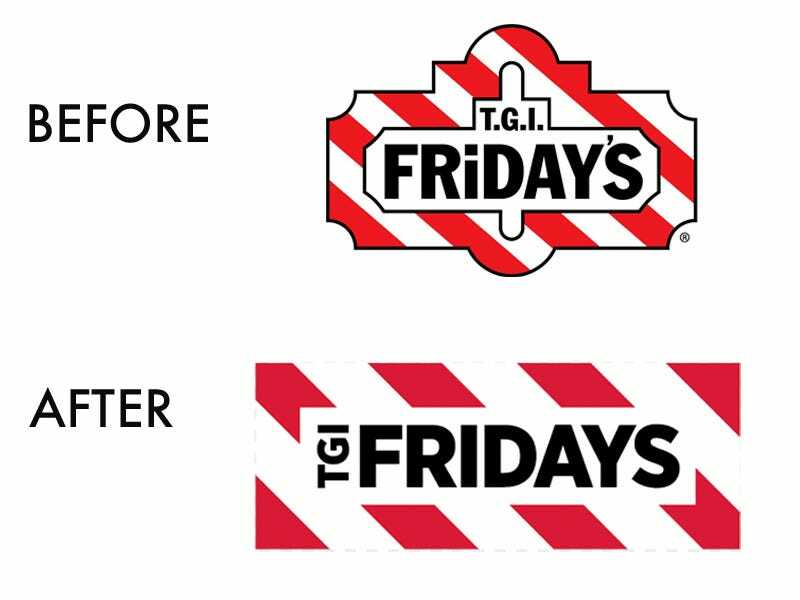 The restaurant chain decided to de-clutter its logo by removing punctuation and outlining. Fridays has been losing market share to local bars across the country, and its makeover is an attempt to shed its aging look. 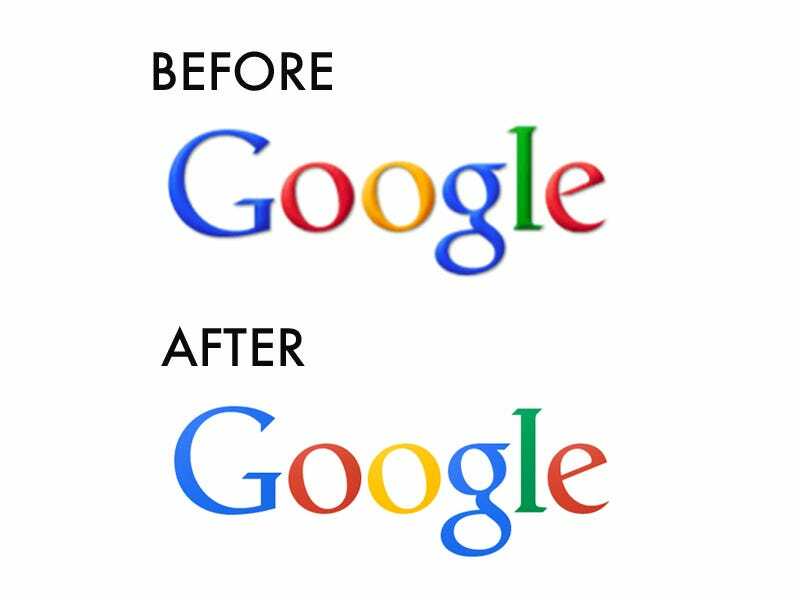 For being such a massive online presence, it was surprising to see how old-school-Internet Google’s logo looked. The update finally rid its name of the embossing that has slowly been edited out over the years (remember the shadows it used to have?). Earlier this year, Instagram was preparing to expand from a neat photo-sharing app into a full-blown lifestyle brand. Before adding new features like videos and advertising opportunities, the brand got a cleaner, more professional looking logo. 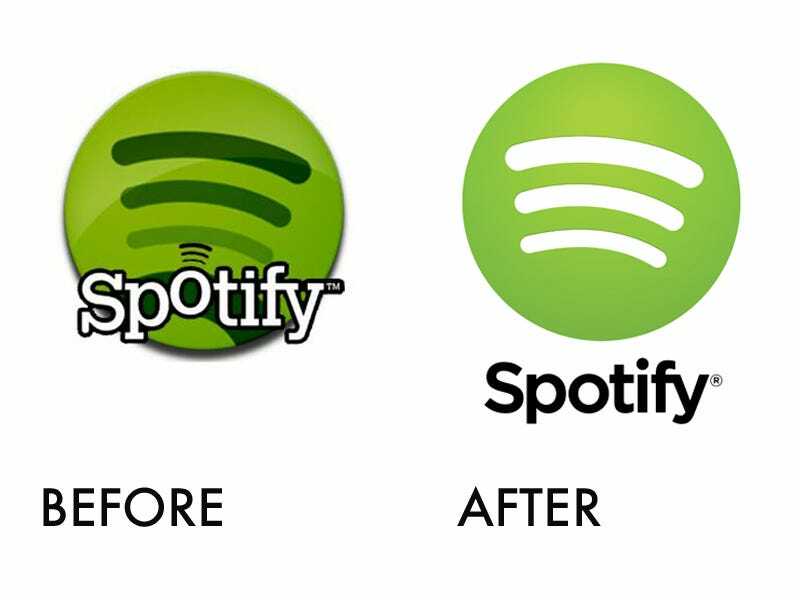 Some Spotify fans like how its logo stuck out from the ever-flattening crowd around it, but we didn’t think that was actually a good thing. 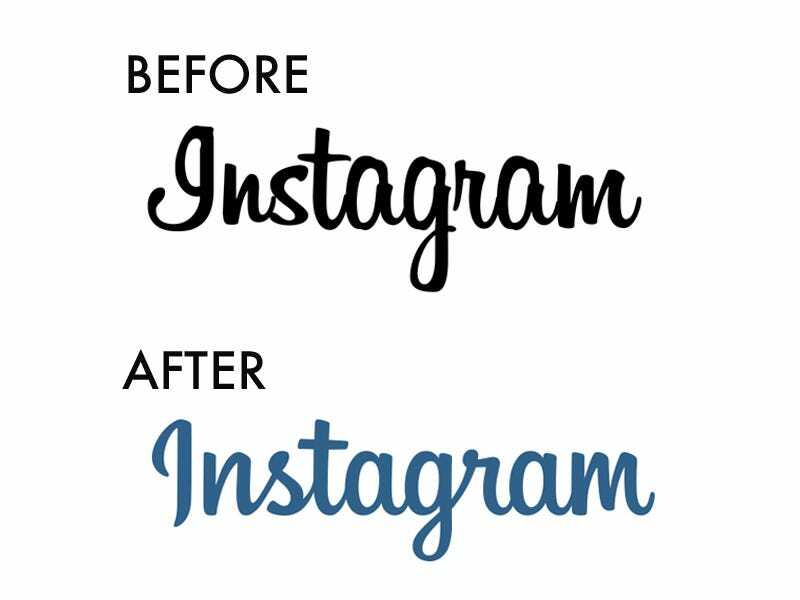 Its new sans-serif font and stripped-down details keep it clean without killing its fun image. 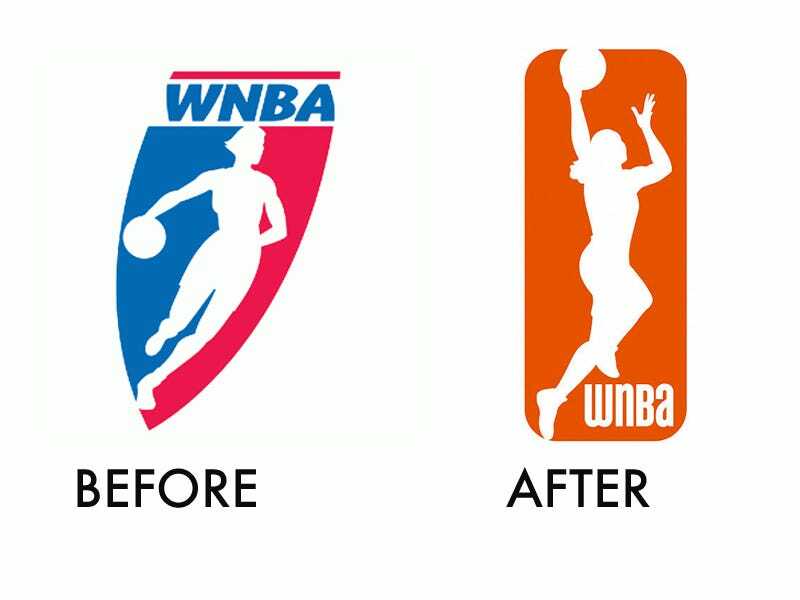 The WNBA inked a huge deal with ESPN this year to start showing more of its games, and it celebrated the announcement with a new logo, which is the most radical change on our list. It now looks as if it’s not trying to mimic men’s sports brands, and its more dynamic athlete represents an increasingly higher level of play. 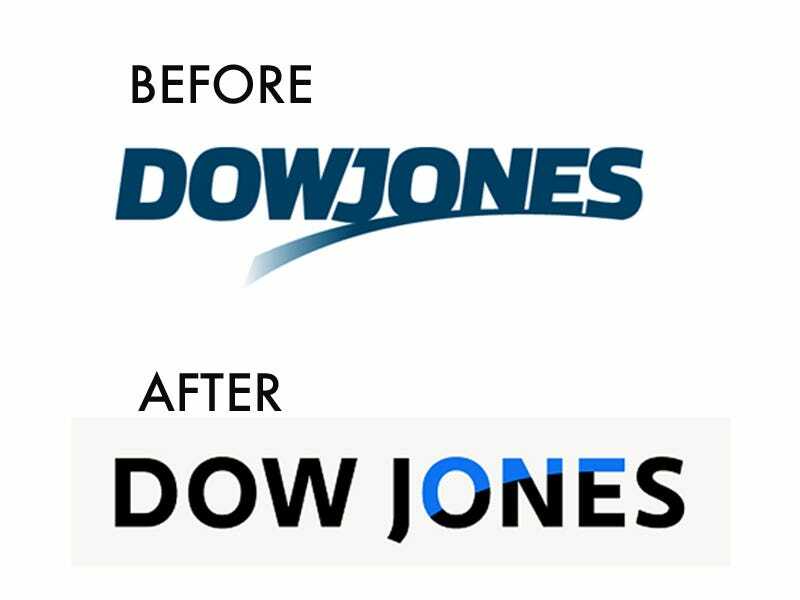 Rupert Murdoch restructured his media empire this past summer, and the new Dow Jones logo pops off both paper and screens. The logos for the new News Corp and 21st Century Fox (20th Century Fox remains a production studio) are also excellent. 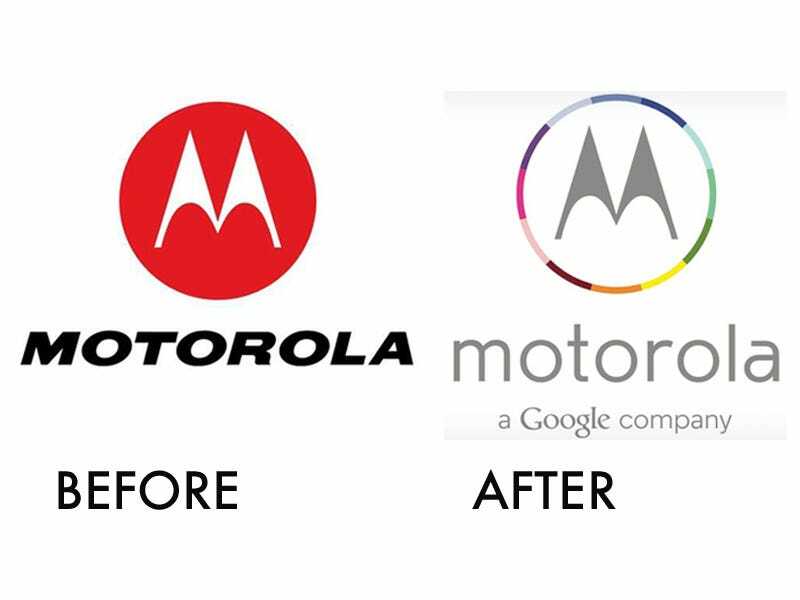 Google bought Motorola for $13 billion last year, but this year’s logo change is proof of their ownership. The new design manages to be refreshingly new, while immediately triggering within the consumer established connections to both the cell phone manufacturer and its parent company.